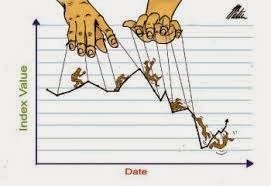 Filipino Investor: Rules and Guidelines Against Stock Price Manipulation a.k.a "Market Manipulation"
Rules and Guidelines Against Stock Price Manipulation a.k.a "Market Manipulation"
Below are the rules & guidelines of the Capital Markets Integrity Corporation (CMIC) against stock price manipulation. We would like to remind The Filipino Investors out there to trade in accordance with the rules of proper trading and to not be a victim of these illegal trading practices - specially that stock price manipulation is easier to pull off on smaller markets with smaller companies such as the Philippines, that is not to say that this removes the merits of long-term investing in the stock market. As an investor and trader in the Philippine stock market for about 4+ years now. It is good to know that these rules are properly in place. Here are some of the listed violations as presented in Article XI-B, Section 9 of the CMIC Rules. favorable to a position held or a transaction.